A lightweight alternative to hickory sticks. 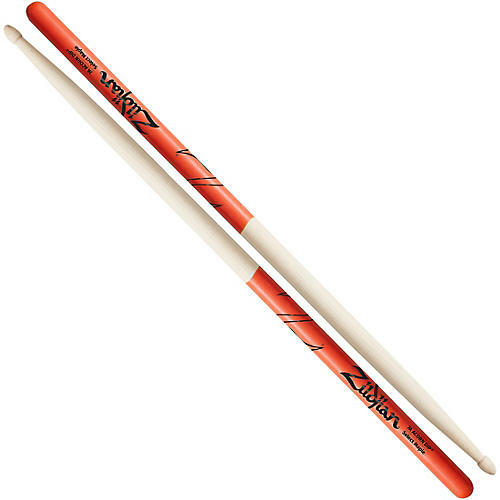 Maple sticks produce dark tones on your instruments and offer a softer feel. Supplement your favorite stick with a maple version to give your playing a new, yet very familiar treatment. Zildjian's Maple DIP models are treated with a double coating of the exclusive DIP grip. This provides a desirable backweighting to the stick that is particularly noticeable in the lightweight maple models. If you are looking for a stick that gives you the maxiumum grip to relax your hands and still be light enough to fly, Maple DIP's are for you.